comes from Mark Bittman’s How To Cook Everything Vegetarian. 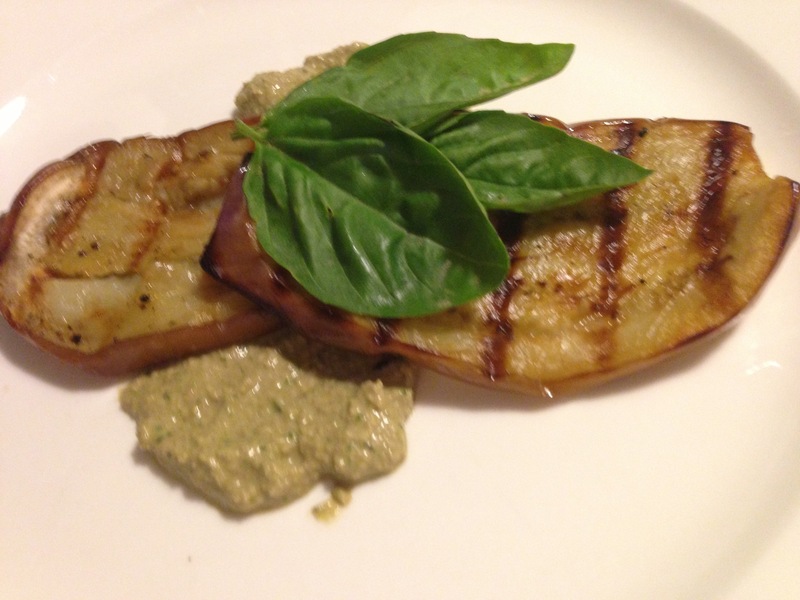 It is a great spin on ratatouille, and helps to solve the problem of the multiplying zucchini. Put 2 tablespoons of the oil in a large skillet over medium heat. When hot, add the eggplant, sprinkle with salt and pepper, and cook, stirring occasionally, until soft and golden, about 10 minutes. Remove from the pan and drain on paper towels. Put the remaining 2 tablespoons oil in the pan and add the zucchini. Cook, stirring occasionally, until just starting to wilt, about 2 minutes. Add the onion and garlic and cook and stir for another minute or two, until soft. Add the tomato and thyme and cook for another minute, until the tomato just starts to wilt and release its juice. Remove from the heat, stir in the lemon juice, and sprinkle with salt and pepper. 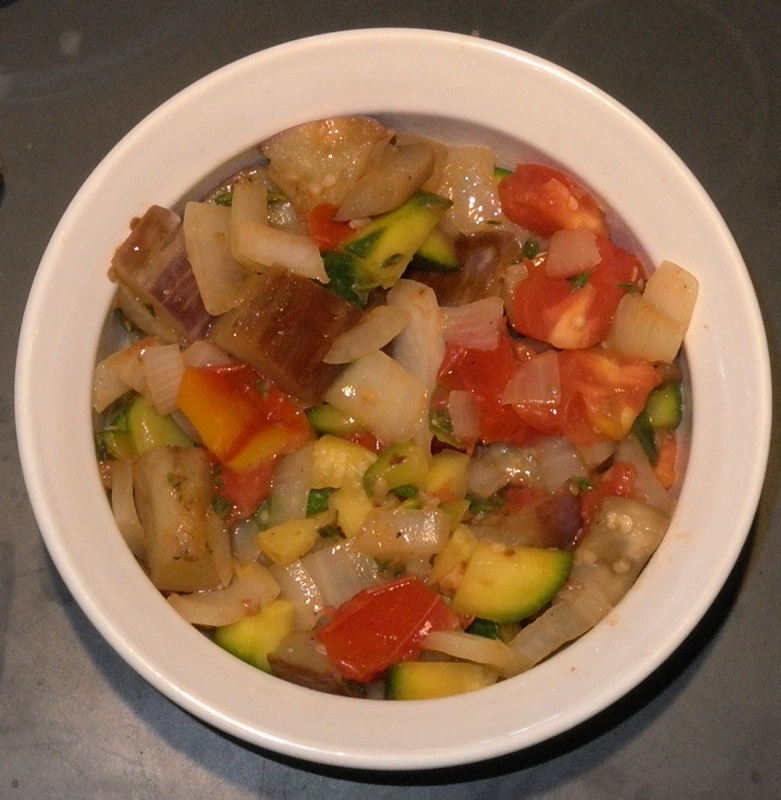 Put the eggplant in a salad bowl and add the vegetables and dressing from the pan. Stir to combine. Cool to room temperature and taste and adjust the seasoning, garnish, and serve. (Or prepare the salad to this point, cover, and refrigerate for up to 2 days; garnish just before serving either cold or room temperature).